This dent removal training programme, which is provided by us solely in Hong Kong, is instructed by experienced technicians in the motor profession. Our instructors explain profound theories and practical skills in simple language, from which our students can definitely master the dent removal techniques. – explain the shapes and the degree of different dents. – instruct the way and the key points of using dent removal tools. – instruct the craft of dent removal techniques. 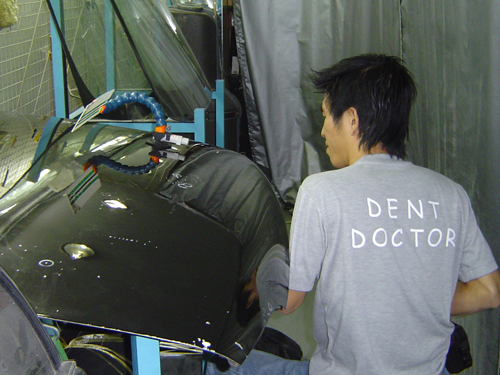 – direct the practical dent removal techniques by practising on real vehicles. – instruct the optical dent removal techniques. 45 years old or below. Ones with interest in motor profession or current workmen in motor profession. We will arrange an interview within a month after receiving an application.